Give the gift of art. It's always the perfect gift! 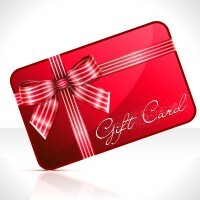 When you are searching for that special gift for a loved one or friend, an e-Gift Card form OilPaintings.com is the perfect choice. Simply select an amount, include a personal message, and leave the rest to us. The e-Gift Card will show up in your recipient's e-mail inbox within hours and is ready to use on our website immediately. Our e-Gift Cards are available in a wide range of dollar increments, making it easy to fit in all budgets. With our online art gallery encompassing over 60,000 hand-painted oil paintings, your gift recipient will no doubt find that magnificent work of art to make their walls come alive! Please note Gift Certificates are redeemable on this website or by phone orders toll free in the U.S. and Canada at 1-877-404-5022 or from outside the U.S. and Canada at 1-561-314-3503. Our Gift Certificates do not expire and there are no other hidden charges or fees. Gift Certificates cannot be returned for a cash refund, and cannot be redeemed for cash, except where required by law. We are not responsible for lost or stolen Gift Certificates and do not replace them.